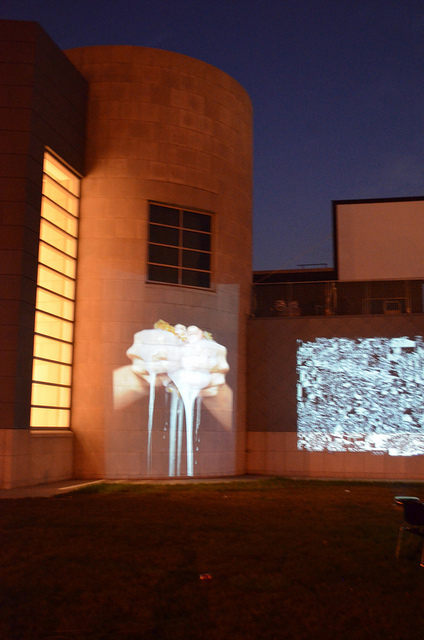 BYOB (Bring Your Own Beamer) is a one-night exhibition of free form projected artworks. Buffalo artists (and friends) presented a mosaic of moving images on the front of the Burchfield Penney Art Center. BYOB is an open-source exhibition idea originated by Rafaël Rozendaal in Berlin. With music by Reactionary Ensemble.